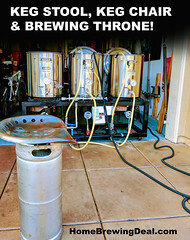 Coupon Description: Right now you can save 20% on homebrewing hardware at Northern Brewer with promo code BREWBQ. 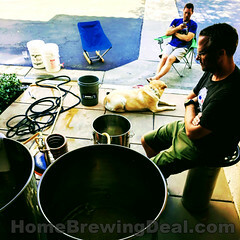 There are some restrictions on what hardware qualifies for this Northern Brewer coupon, so click the link for all of the details on this limited time home brewing deal. 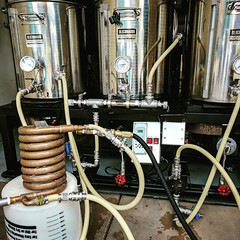 MoreBeer.com Coupon Code Description: Use the More Beer promo code BEERDEAL and save $3 on StarSan home brewing sanitizer. Star San is an acid based sanitizer that is quick, odorless, tasteless and safe for most materials except softer metals. It is the most popular home brewing sanitizer out there and works great at preventing unwanted beer infections! Simply use of 1 oz per 5 gallons of water and a contact time of 1 minute. StarSan is a high foaming home brewing sanitizer. Star San’s foaming action insures coverage and contact time in larger vessels and better penetration into nooks and hard to reach spots. 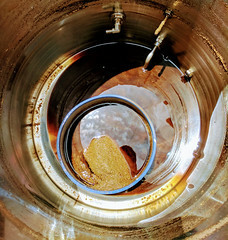 Any foam that is left over in your carboy or keg will not harm your beer or you, and is perfectly safe and non-toxic, nor will it impart any flavors or odors. If a lower foaming alternative is preferred, for bottling or multiple batches, check out Saniclean. Coupon Description: Northern Brewer is having a flash sale right now and if you act fast you can save 15% on orders of $100 or more! Some exclusions apply, click the link for all of the details and make sure to enter the Northern Brewer coupon code SUPERSALE at check out to receive the discount. Thank you for using homebrewingdeal.com. Coupon Description: Use the WillamsBrewing.com Promo Code DAD at checkout and Get 2 FREE Insulated Stainless Steel Pint Glasses With A $99+ Purchase! You will get 2 free stainless steel 16 ounce beer glass that feature a double wall stainless construction! It insulates so well a coaster is not generally needed when placing this glass full of cold beer onto a wood table. The stainless steel pint glass measures 6″ tall and is dishwasher safe.